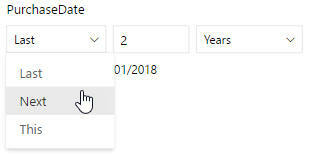 Choose this option to get a relative date slicer. Here we're showing data for the last or next two years, taken from the current date. 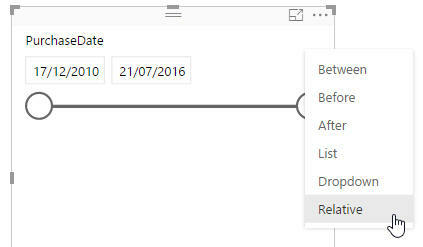 You can click on the symbol shown to choose the anchor date from a calendar. If you're not including today, you get the 7 days before "today". If you include today, the anchor date is included within the date range. 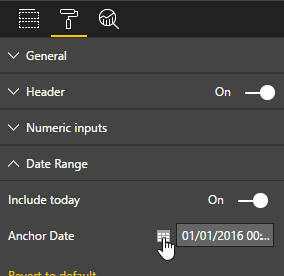 By default, the anchor date is included in a relative date slicer (Include today is set to On).